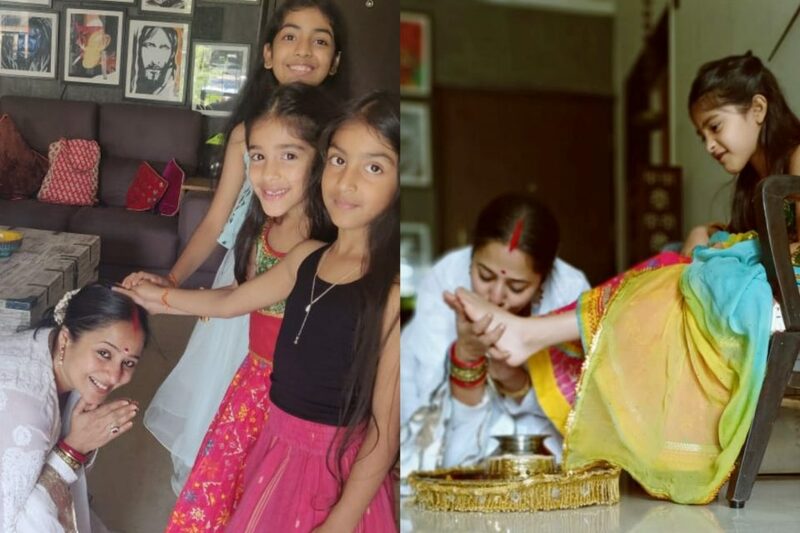 Ritu Chaudhry Seth, who is currently seen as docile and caring Vedashree Rathod in Gul Khan’s Nazar never cease to celebrate any festival with her daughter Ivaana. The actress does this so that her daughter can learn about the culture and carry forward the tradition. 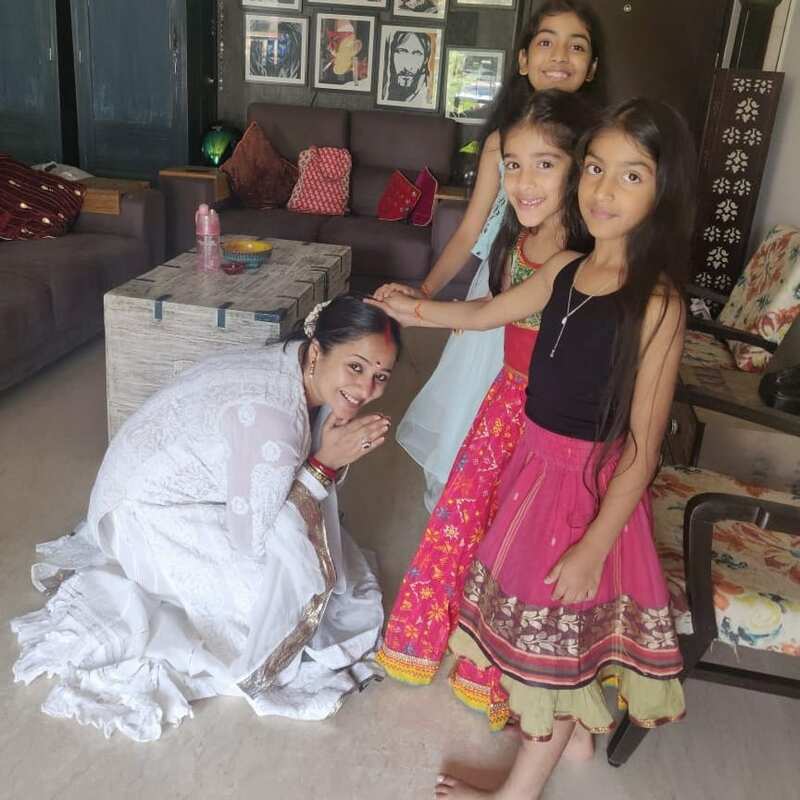 Twice a year Ritu celebrates Astami, by inviting girls for Kanya Pujan. However, this time she was planning to cancel it since she was shooting round the clock. Luckily she got a day off. 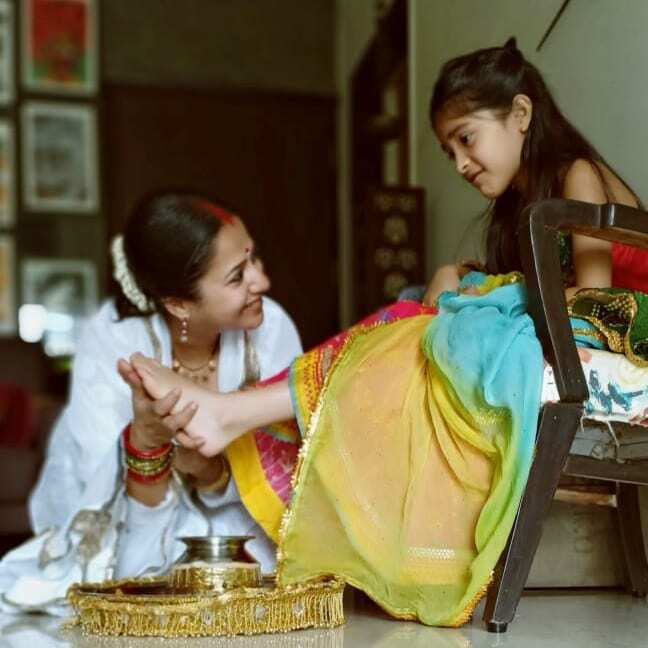 “I love the whole process of preparing the prasad delicacies of poori, chana, and halwa, dressing up with my daughter, doing the Aarti and then washing her feet and taking her blessings. Whether I am shooting or not this is something I do diligently twice a year,” said the actress.